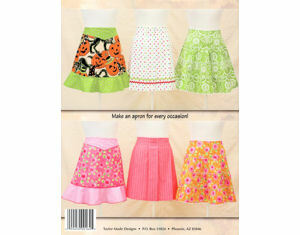 Retro Apron Patterns from Taylor Made Designs. 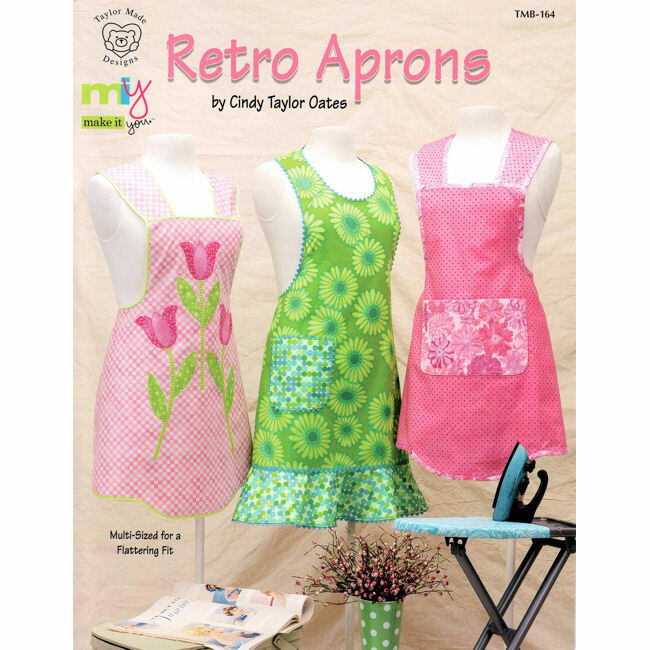 The Retro Aprons Pattern Book from Taylor Made Designs includes full size patterns, diagrams, and complete instructions for 3 full size aprons and 3 half aprons. Patterns are folded inside an 8 page softcover book. Pattern pieces are printed on quality paper stock for lasting value. Half aprons are One Size Fits Most. Full aprons are multi-sized for a flattering fit (S, M, L, XL, and XXL). Designed by Cindy Taylor Oates.